Saturday 19th January 2019 at Petroc Beach Academy. Opposition: Petroc Beach Academy, Taunton, Bishop Llandaff High School and Richmond Volleyball B.
Ashcombe traveled to Barnstaple, Devon on 13th January to play Cardiff [win 2-0] Wessex [win 2-0] and Beach Academy [loss 0-2, 23-25, 28-30]. The team go through to the last 8’s on 4th March 2018. 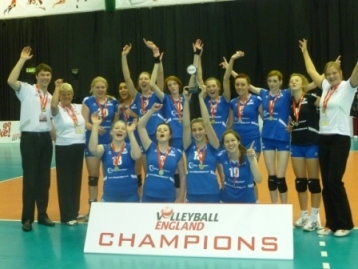 2-0 Victories over Cardiff 25-12, 25-12 and Wessex 25-23, 25-11 mean that the Ashcombe Dorking Under 18 team have made it through to the Volleyball England Last 8 competition on Sunday 4th March in Kettering. 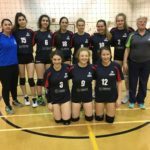 In their first match Ashcombe lost to Beach Academy 25-23, 30-28 showing the progress the squad have made since last seasons junior competitions. 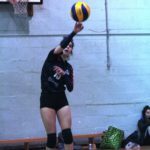 Captained by Brandi Head the Ashcombe squad of Meena Adi, Amy Antonio, Gillian Quinn, Andrea Antonio, Courtney Head, Leah Blight, Ellie Kim and Dasha Zavyalova were dominant in serve and attack. Passing improved throughout the competition enabling Brandi to set all zones with confidence. 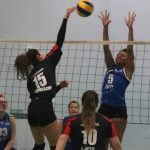 Coaches Freda Bussey and Cat Machado were very pleased with the team’s performance and look forward to the Last 8 competition and continued improvement of the squad. 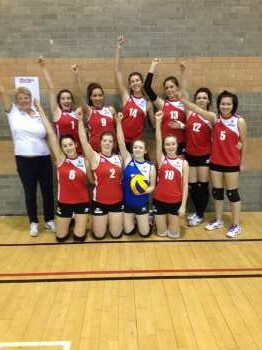 Ashcombe’s Under 18 team lost 2-1 to Malory in their final match in the Under 18 competition on Saturday 12th November. 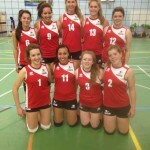 The team lost 2-0 to Tendring but then beat Polonia 2-0 to set the team up for the deciding match. Team: Issie Russell [Captain], Pam Munsing, Molly Saunders, Leah Blight, Kirsty Gaston, Meena Adi-Fayad, Amy Antonio, Gillian Quinn, Sophie Bushe, Ellie Kim, Ilona McDonald and Andrea Tudorache. Meena Adi-Fayad named as MVP by coach Freda Bussey. Eight of the team will be playing in the Under 16 competition on Saturday 19th November at Ashcombe VC. Issie Russell captained Ashcombe in Round 1 of the National Under 18 championships. 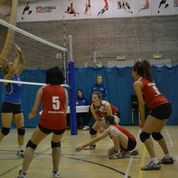 Polonia and Cherwell were Ashcombe’s opposition on 15th October in the . 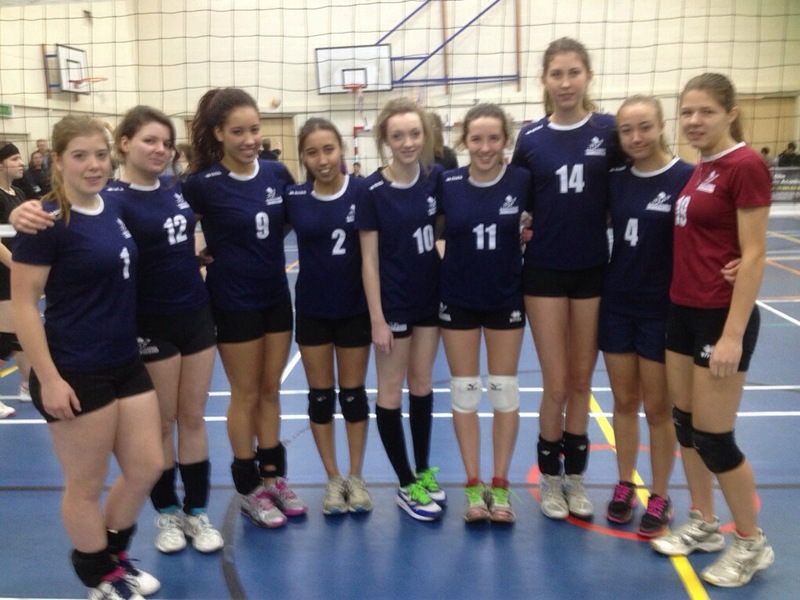 In the first match Ashcombe beat Polonia Academy 2-1 and then went on to beat Cherwell [Oxford] 2-0. The next round is on Saturday 12th November at Graveney School, London. Issie took the day off from training and playing with England in the Under 17 NEVZA before they traveled to Denmark for international competition. 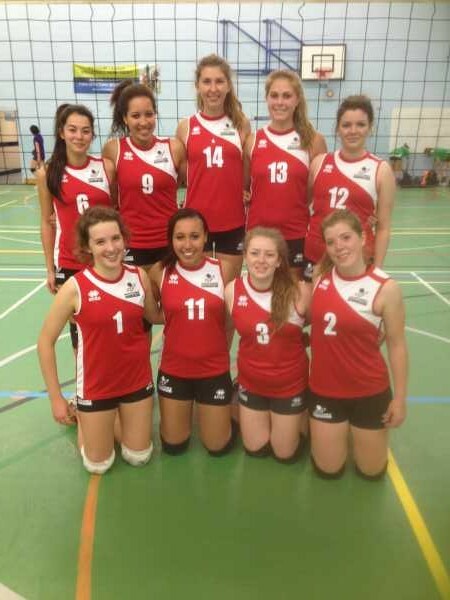 Ashcombe confidently beat Wessex Leaf B 25-11, 25-11 and Team Southampton 25-9, 25-9 to reach the second round of the Under 18 National Cup for 2015-16. 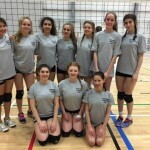 The second round of the Under 18 Grand Prix gave the young Ashcombe team another opportunity to pit themselves against the top teams from all over the country. Malory Graveney proved to be too disciplined for Ashcombe and forced passing and hitting errors ensuring them a 3-0 victory. 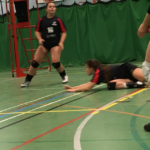 In the 5th/6th play off Ashcombe faced Black Country from the Midlands and again found the consistent play by their opponents too good for them and the game was again lost 3-0 placing Ashcombe 6th in the National championships. Ashcombe accepted a place in the Under 18 Grand Prix after Tameside withdrew from the competition. Ashcombe beat Newcastle Staffs 3-1 and then lost to Ashfield Vipers 3-1. 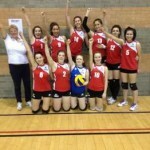 They now have to beat Malory on 1st March to get a place in the semi finals. It was always going to be a tough competition for Ashcombe as they faced Wessex, Team Southampton and Academy of Beach Sports in the second round of the Under 18 cup. 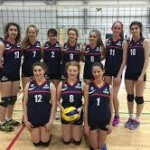 With most of the Ashcombe squad still under 16 they had done well to reach this stage of the competition and coach Freda Bussey was pleased that they took a set from Team Southampton and challenged Academy of Beach Sports with one set closing at 25-27. Team: Alice Goodwin [Captain],Rachel Higgins, Ailsa McDonald, Asia Perkins, Katy Begley, Paige Watts, Lydia Goodwin, Maddy Nutt and Evelin Potocnik. 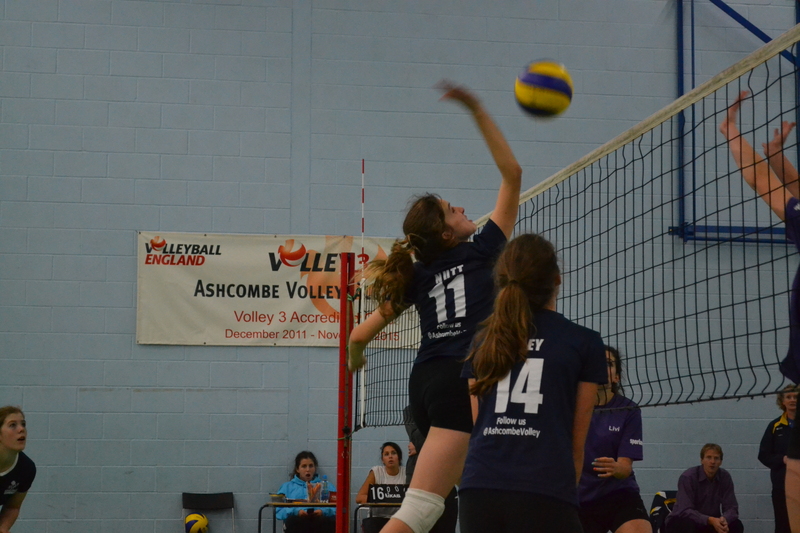 Three teams, out of the four entered, were guaranteed places after the first round competition held at Ashcombe VC on 12th October 2013. Ashcombe faced Team Southampton in the first round match and despite trading point for point throughout the game lost 2-0. 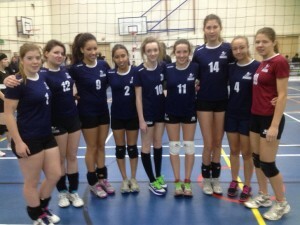 Academy of Beach Sport [Croyde] then beat Taunton Juniors 2-0 and they also beat Ashcombe 2-0 in another close match. Team Southampton beat Taunton and Academy of Beach Sports to leave the last game to decide the third team to reach round 2. 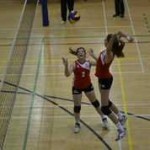 Ashcombe won the match convincingly 2-0 [25-13 and 25-15] and will now travel to Leaf Academy Wessex on Sunday 10th November. Team: Rachel Higgins [Captain] Katy Begley, Ailsa McDonald, Edie Adams, Lydia Goodwin, Madie Nutt, Paige Watts, Freya McDonald, Evelina Potocnik and Asia Perkins.